Never been much of a Kerouac or Dean Moriarity fan, but have always been interested in the road, marching to a different beat, and eating off the land. 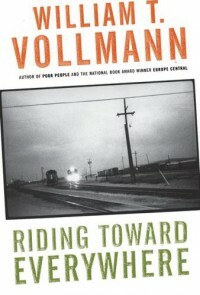 The people Vollmann highlights here do not exactly fit the exacting romance I hold so dear. What William does achieve however is making me listen to him and actually focus on what he has to say. 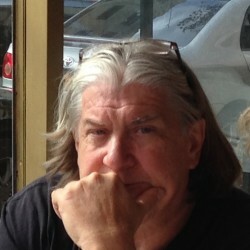 And that is good writing, no matter the subject or obsessions posed on his page. I read this book much as a slow-moving train. The sway and rhythm soothed me, and the certain-to-come rain failed to dampen my days like it might have his. I did feel sodden however with the pain of loss presented through the characters he met along the rails and diners and ditches on the way to his own Cold Mountain, the satori Kerouac strove for. I never could have gotten to Cold Mountain because I lack Cold Mountain’s mind. I love cities as much as solitude, prostitutes as much as trees…But as Vollmann finishes, saying …Sometimes when I ride to Everywhere I believe in Cold Mountain.